First Impressions From Our Teachers in Turkey! 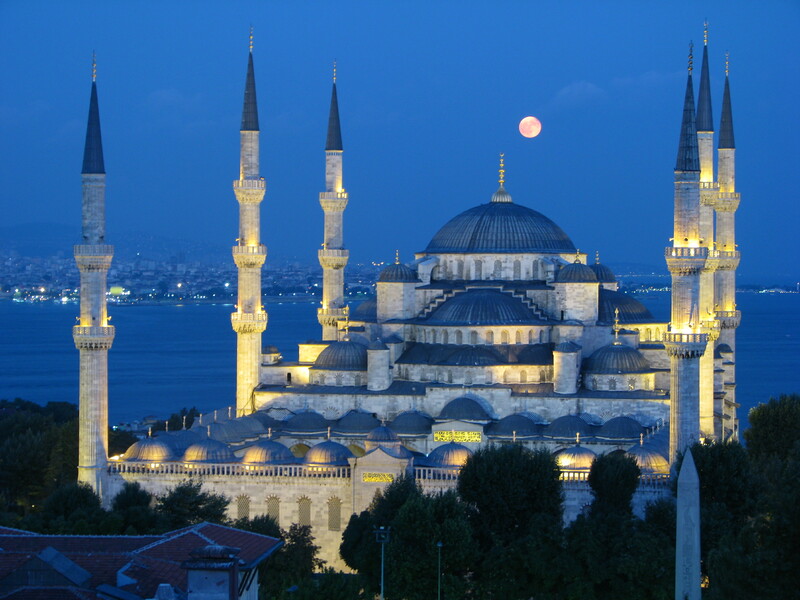 Our first blog post written by one of our educators traveling in Turkey has arrived! Caryn White Stedman, from the Metropolitan Learning Center in Bloomfield CT, wrote about her experience so far in Turkey. Read her post and ask questions or leave comments for Caryn and our other teachers in Turkey below! Turkey has been amazing. Although we have just completed our second day, we have already seen and experienced a month’s worth. From ancient underground cisterns that provided water for the huge population of 4th century B.C. Constantinople (and still hold water and fish) to the tense confrontation between two groups of demonstrators with police in full riot gear on the doorsteps of our hotel, we are experiencing history, ancient and in the making, every waking second. A short list of our experiences began with an evening walk in Taksim Square and Gezi Park Sunday evening after our arrival, where we visited a makeshift memorial, complete with photographs, of the five protesters who were killed. During his early morning run the following day, Sean (another teacher on the trip), saw a group of people sleeping around the memorial as if to prevent its destruction. We soared back into history the first morning when we visited the “Egyptian Bazaar” (the spice market) which was part of the Silk Road. We jumped into the 15th century as we explored the seat of government for most of the Ottoman Empire, the spacious Topkapi Palace. A leisurely cruise on the Bosphorus introduced our group to this waterway that has played such a critical role in international trade and diplomacy before we stopped on the Asian side for a gourmet fish lunch at the famous Villa Bosphorus in Beylerbeyi. After lunch we each had the opportunity to try our hands at making handmade marbleized paper (Erbu) under the patient guidance of the renowned artist, Hikmet Barutcugil. He was most kind about our amateurish efforts. 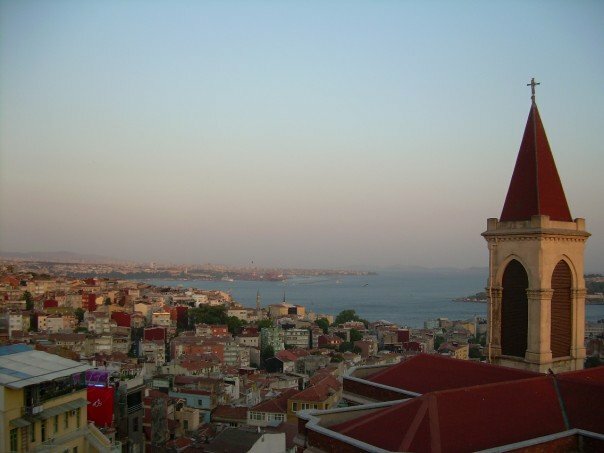 A short visit to the Grand Bazaar and then drinks at the famous rooftop 360, which as its name promises, offers a full circle view of the Galata side of Istanbul. It was upon our return to the hotel that we encountered the phalanx of riot police in full gear, gas masks on, blocking the way to the hotel. The police had parked their “people-pusher” tank like vehicle equipped with a turret that could shoot bean bag bullets or serve as a water cannon, in the entrance to our hotel. We made our way through to the hotel to watch. Mark and Sean wandered back down toward the square to get video footage. Most of the 2+ hour confrontation occurred directly in front of the hotel. There was nothing at all about the incident in any of the papers today. Today included a mix of Byzantine and Ottoman sites and the building in which the two met, the Ayasofia (Hagia Sofia), built by Justinian in the 6th century. The remains of the Hippodrome, site of chariot races and the fanatical and politicized fans who nearly toppled Justinian in 532 in the Nike Riots, sits behind this great church that became a mosque after 1453 and is now a museum. Justinian’s lasting contribution to jurisprudence, his famous law code, may not have survived had his talented and resourceful wife, Theodora, not intervened in his attempt to flee and encouraged him to face the mobs. After our visit into the cisterns, we enjoyed a college student style lunch near Istanbul University before entering the great mosque built by the greatest Architect of the Ottoman period, Sinan. This is the elegantly simple but huge Suylemanye, built for Suleyman in 1558. We then traveled to the remains of the outer wall of Constantinople to visit the Chora Museum, a late Byzantine church that was rebuilt after the iconoclastic controversies that saw so many icons and mosaics destroyed. This church, later a mosque and now a museum, has some of the finest mosaics of the late Byzantine period. We lept from Byzantine art to the work of the globally known contemporary glass artist, Yasemin Aslan Bakiri, in her studio and gallery in a restored section of the old wall on the Bosphorous. Dinner featured Ottoman dishes on a patio overlooking the old city. One of the most interesting elements of being here during Ramadan is watching the outdoor Iftar (fast-breaking) meals at sunset each evening. Tomorrow will focus upon school visits and policy talks by NGO representatives. We have only been here two days. There is much more to come and we will be sharing more. Thanks to the World Affairs Council of CT, the Turkish Cultural Foundation, and the World Affairs Councils of America for making this possible. *The views expressed above are those of the author and do not necessarily reflect the views of the Council. Previous Post CT Teachers Prepare to Travel to Turkey! Next Post A Burst of Turkish Delight!